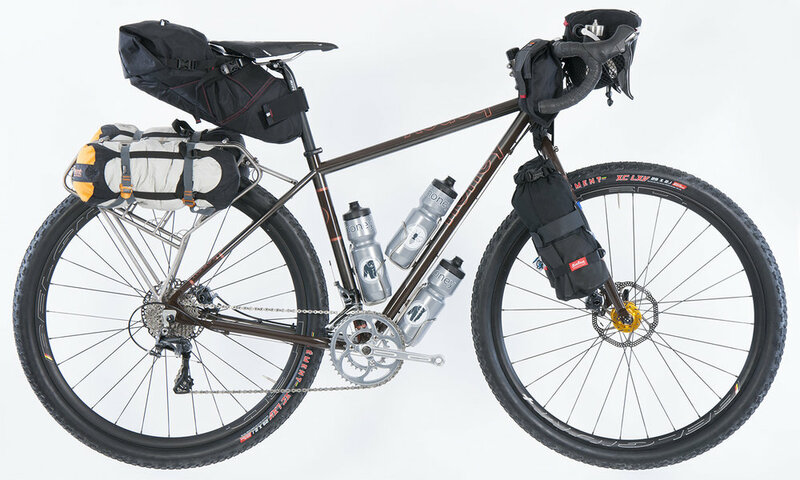 Honey Bike's Packmule is a very serious bikepacking bike. Designed from the ground up, from our years of bikepacking experience, the Packmule brings together all the best elements of a durable 'packer made for anything from an overnight excursion to a continental traverse. We're very proud of this US handmade bike. The Packmule Dropbar will change the way you ride. Here is the Packmule Dropbar in a few configurations - from lightweight to fully-loaded. The Packmule loves to ride in any configuration!